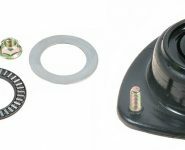 Whether the 4WD application is at normal height or raised height, is used for normal or heavy duty driving, Monroe has locally designed, manufactured and application tested this product range to offer 4WD owners nationwide the best possible replacement solution. It is important to note that replacement shock absorbers can be fitted to both standard and raised suspension on four wheel drive vehicles, but the same ride and handling response cannot be provided from standard replacement products which have not been designed for raised height applications. 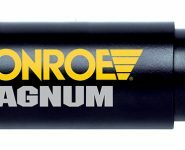 Monroe says automotive technicians and 4WD owners who select Monroe Gas Magnum TDT 4×4 shock absorbers can expect the results of a significantly improved ride, more responsive handling and braking, safer towing of heavy loads along with impressive off road durability. The Monroe Gas Magnum TDT 4×4 range for raised 4WDs has been specifically engineered to work with aftermarket brand raised height springs that are fitted to the legal limit for the vehicle, or to the limit of the vehicle’s suspension design, without the need for extensive re-engineering. Where possible, the shock absorbers have increased length within the operating limits of brake lines, ball joints, CV joints and steering components. It is also important to note that raising a vehicle also raises its centre of gravity, which means that raised springs are generally firmer than Original Equipment springs in order to contain body roll. 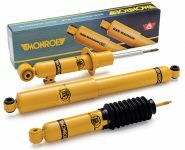 Therefore, any shock absorbers designed to work with the original vehicle specification springs are no longer matched to the raised height requirements, says Monroe. Each Monroe Gas Magnum TDT 4×4 part number has been individually developed to match the aftermarket springs that can be fitted to each vehicle. To achieve this, Monroe Australia engineers test drive each Gas Magnum TDT 4×4 application to best tune the suspension before each new application is released. 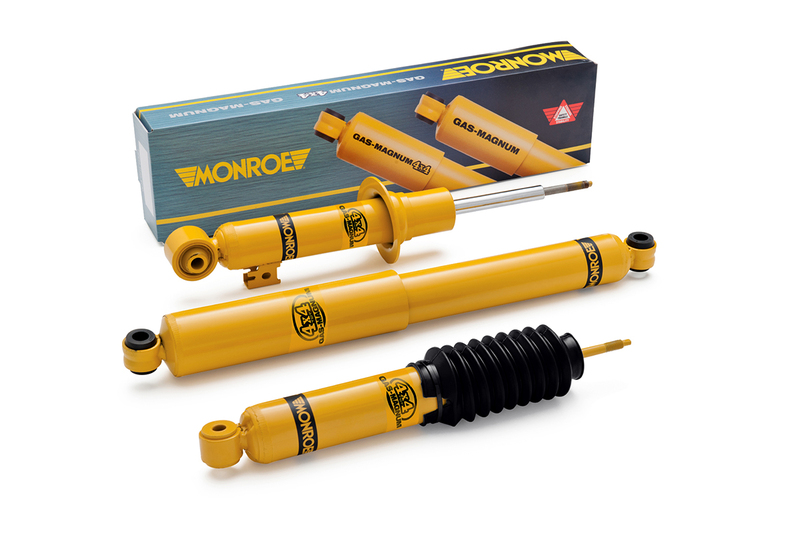 This enables Monroe to deliver the highest quality replacement shock absorber that combines on and off road capability with impressive levels of highway ride comfort. Additionally, before leaving Monroe Australia’s manufacturing plant in Adelaide, every Monroe Gas Magnum TDT 4×4 shock absorber is individually performance tested to ensure that it matches the required specifications. 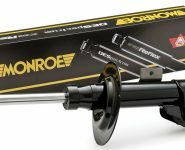 The Monroe Gas Magnum TDT 4×4 shock absorber has three key attributes; the physical size, the valving technology and the premium quality of its components. These are purpose designed double-acting twin tube shock absorbers that function by moving oil through separate compression and rebound valves that can be tuned independently. Monroe’s engineering enhancements to the Gas Magnum TDT 4X4 range include a 35mm bore, a 16mm superior hard chromed piston rod and more oil. These attributes ensure that these 4WD specific shock absorbers are able to radiate heat faster than many Original Equipment shock absorbers. This translates directly to more consistent and durable performance in tough driving conditions. Monroe’s exclusive twin disc valving technology and multi-stage high displacement valving design adds a stage to the valving operation that enables the shock absorber to provide sharper vehicle handling without compromising comfort. Combined with Monroe’s Teflon band, multi-lip seal, rod guide bearing, along with oil and nitrogen gas pressurisation, Monroe says these engineering enhancements ensure that Monroe Gas Magnum TDT 4×4 four wheel drive shock absorbers are built tough. They also ensure that these aftermarket shock absorbers are able to produce maximum damping response under all four wheel drive applications, with minimal fading during harsh four wheel driving conditions. Monroe’s Australian manufacturing quality is also supported by a three-year or 60,000 kilometre warranty. To find out more, contact your local Monroe Territory Manager, your Monroe distributor or Monroe Australia Customer Service on 1800 088 205.